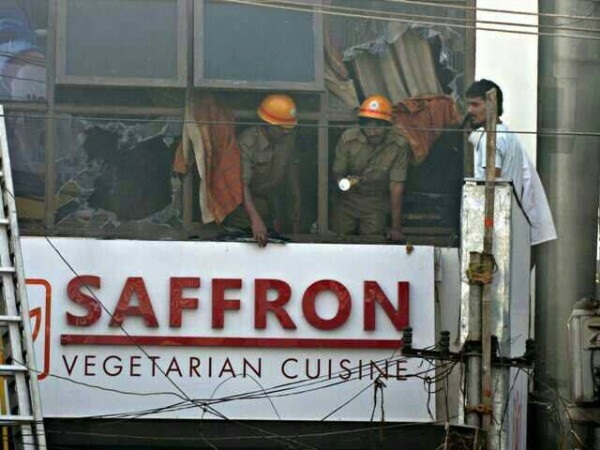 A fire broke out at Saffron Hotel on this morning Kirloskar road this morning. The cause of the fire was not known. One person was injured in the incident.